As much as our skin needs extra care on a daily basis, our hair too! Even someone with healthiest hair would spend extra time to pamper their hair during shower time! 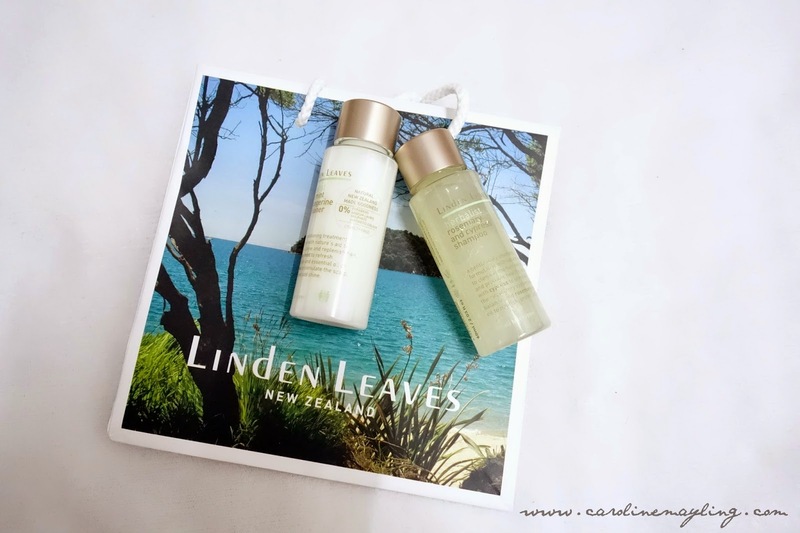 I have recently got myself the travel set of shampoo and conditioner from Linden Leaves - Rosemary and Cypress Shampoo and the Balm Mint and Tangerine Conditioner - which turns out the best pampering combo for my hair. I don't normally splurge on shampoo and conditioner, I always worry about what if these hair products don't suit my dry and damaged hair, the big bottle of shampoo and conditioner will just go wasted that way. 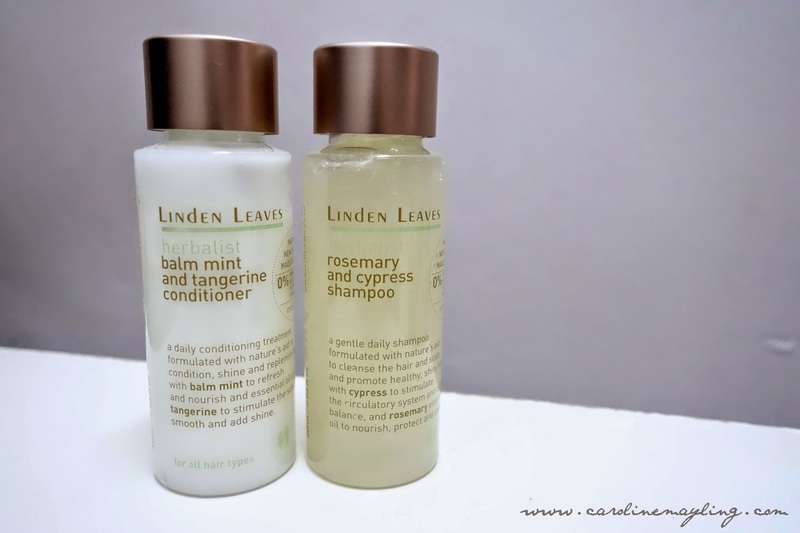 With Linden Leaves, you can opt for the travel size for your trial session, and opt for the full size later on. Rosemary and Cypress Shampoo is a gentle daily shampoo formulated with nature's aid to cleanse the hair and scalp as well as promote healthy and shiny hair. The cypress as one of the main ingredients, it helps to stimulate the circulatory system and aid skin balance; rosemary essential oil to nourish, protect and add shine to your hair. Balm Mint and Tangerine Conditioner is formulated with nature's aid to condition, shine and replenish the hair. It contains essential oil of balm mint to refresh and nourish; essential oil of tangerine to stimulate the scalp, smooth and add shine to your hair. Both of the shampoo and conditioner are light in texture. 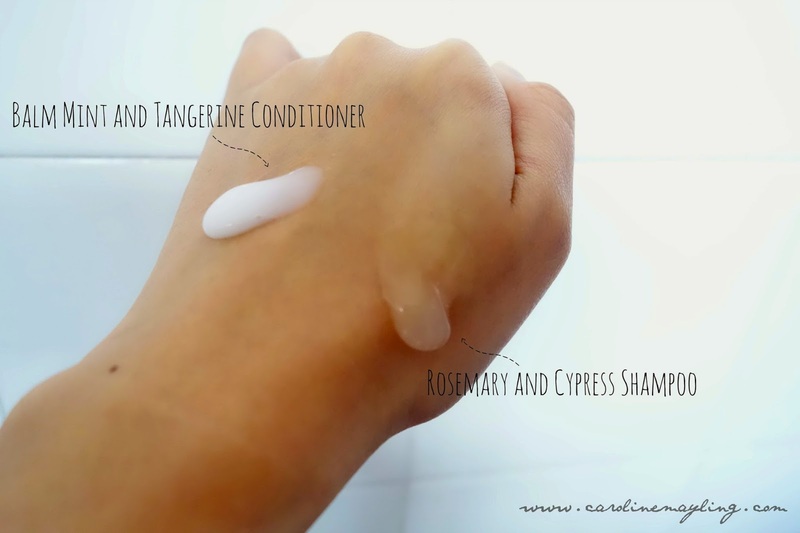 The rosemary and cypress shampoo has a jellylike texture and it can be used on a daily basis! Believe it or not, the moment you lather it on your scalp, it feels like you're enjoying some sort of spa pampering session, imagine the citrusy and calming sensation! Needless to say, both shampoo and conditioner smell really great with the herbs and minty sensation happening on your scalp. I always feel my scalp is clean and refreshed after each wash. I also love how my hair turns silky smooth after used the balm and mint conditioner, no more split ends, tangled and frizzy hair! p.s: Linden Leaves currently stocks its range at TheSkinTopic.